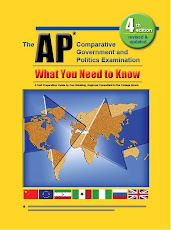 A new practice season of FRQs for Comparative Government and Politics. Three new sets of 8 questions (like those on THE exam). One a day until May 5.